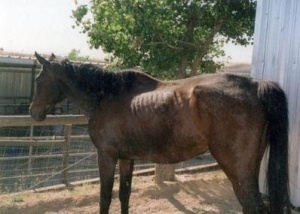 Summer was found starving in a cramped, garbage ridden backyard in Simi Valley, CA. Her previous owner "just did not care and did not want her anymore", and did nothing to find her a home where she would be wanted. She just neglected her. 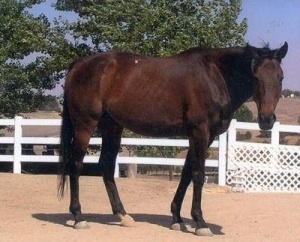 Summer is a former racehorse.